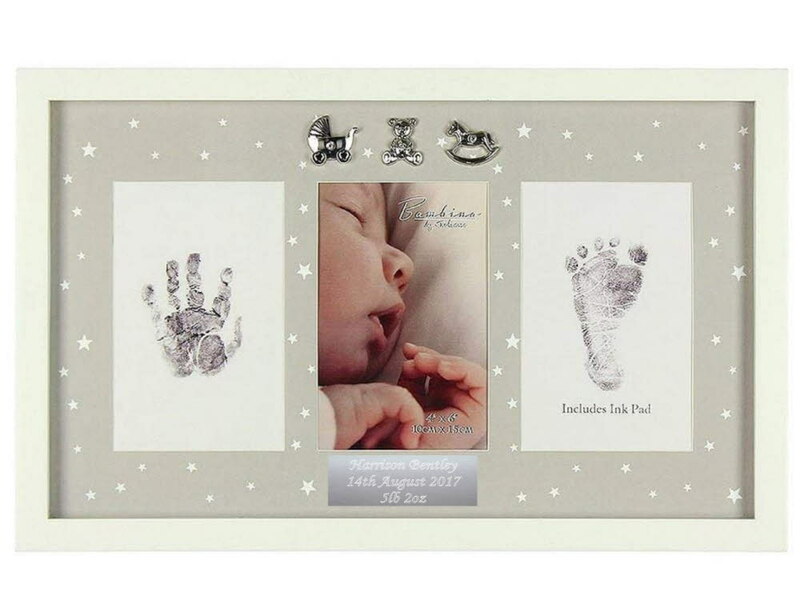 Engraved Bambino Hand and Foot Print Photo Frame. This great quality personalised photo frame measures 250 x 400 x 20mm and fits a 6" x 4" photo. It has a silver plated pram, teddy bear and rocking horse emblems and comes complete with the ink pad to make your prints. Engrave with a special message on a silver plate that will be placed underneath the photo on the glass of the frame as shown. A fantastic unique gift ideal for a Newborn or Christening gift.